and add it to your mattress to get that soft sleep you want and deserve. 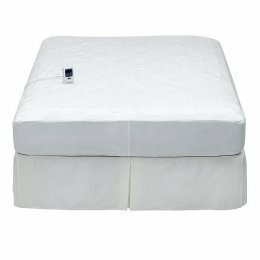 The Pillowtop Mattress Cover is a quilted cover that you can put right over the top of your mattress to make a very soft surface that will almost cradle you as you sleep. Instead of being out hundreds of dollars for a new mattress you will give your old mattress new life by adding a layer of comfort on top of the current surface. This is especially a great way to make your guests feel welcome at your home. While you may not want to spend a fortune on great mattresses for the guest room, adding this Pillowtop Mattress Cover to that cheaper guest room mattress will let them think you have. 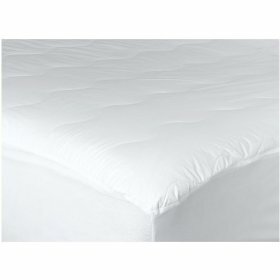 This Pillowtop Mattress Cover is overstuffed with polyester filling and will stay in place, even if you are the type that moves around a lot in your sleep. Created with sides that have ‘expand-a-grip’ protection, it will remain in place no matter how much you toss and turn. It can take a boring and not so luxurious mattress and make it feel much softer and more comfortable. It’s easy to put on the bed and holds in place pretty well. It looks fluffier in the picture than it is in real life, but it still does a great job. The majority of purchasers of the Sunbeam heated mattress pad state that overall it is terrific, and give it a very positive rating. It is easy to plug in and turn on, without the hassles associated with some other similar products. The fact that it is made by Sunbeam is given as one of the main reasons for buying it, as consumers have had good experiences with the brand in the past. Many claim not to be able to feel the wiring at all, and state that it is very simple to use. Several reviewers mentioned that they appreciated the fact that the heated pad warms quickly, not only for cold nights but for sore muscles and sports injuries. 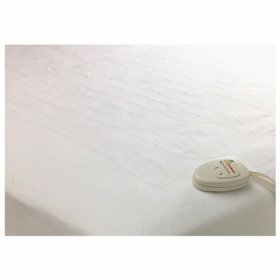 Deep pockets that fit comfortably as well as securely over the corners of the mattress make it so that the Sunbeam Heated Mattress Pad gives users a sense of security, knowing that it won’t come off easily if they move around in their sleep. This is a benefit for anyone who has a mattress with a thick pillow top, as they have previously found it hard to find pads that would fit the thicker mattresses without popping off the corners. As with all electrical goods follow the manufacturers instructions to ensure that you are using the product correctly and safely. 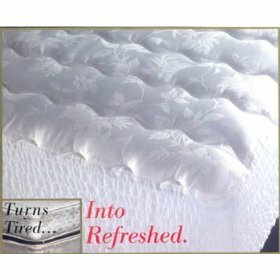 This product was primarily reviewed by those with older or hard mattresses that needed a little cushioning. The Sleep Better 2-Inch Visco Elastic Memory Foam Mattress Topper is designed to completely cover the mattress, and is available in a range of sizes to suit your bed type. 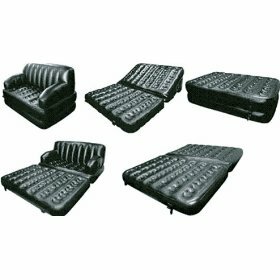 Many customers found relief using this topper on futons and on older mattresses that they had nearly given up on.It provides a layer of body contouring foam between the sleeper and the regular mattress, easing pressure points. This 2.5 pound memory foam topper was well reviewed by customers with pinched nerves and sore spots. The tingling “asleep” feeling in the hands and feet reportedly disappeared when the topper was used. Many said the foam did adjust to their body shape, allowing for additional relaxation and improved quality of sleep. The product arrives compressed, and does require a few hours to regain its proper shape. There have been reports of a strong “new car” smell that do go away after the topper is aired out in an open space or after some time in front of a fan. If you are sensitive to strong odors, then this mattress topper may not be ideal for you; or you may wish to let it air in an unfrequented room for several days. On the whole the reviews for this product were mainly positive in terms of satisfaction with price, comfort, quality and usability. Aside from the complaints about the smell, 80% of those reviewed said they were happy with the results of using the foam topper. Sounds Just Like What I Need to Reduce Aches & Pains.